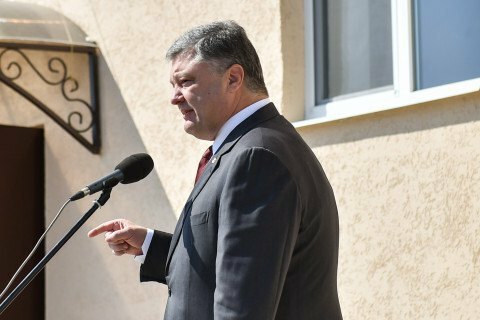 President Petro Poroshenko has submitted to the Verkhovna Rada a bill on the High Council of Justice, according to the Verkhovna Rada website. The document was registered in parliament on September 23 and is flagged it as urgent. According to the amendments to the Constitution in part of justice, which will enter into force on September 30, 2016, the High Council of Justice will be transformed and renamed. In the meantime, the legislature won't meet for the next session before October 4, so lawmakers won't be able to vote for the relevant bill before the constitutional amendments take effect. The Rada adopted the law on amendments to the Constitution of Ukraine in part of justice on June 2 by 335 vote support with the 300 vote minimum required. On the same day, the parliament passed the amended law on the judicial system and the status of judges. The Verkhovna Rada the scheduled to meet on 4 October.